Golden Boat 72 Guesthouse sells fast on our site. Featuring an outdoor pool and a business centre, Golden Boat 2 Guesthouse is situated conveniently within a 5-minute drive to the Royal Palace and the National Museum. It operates a 24-hour front desk and provides free Wi-Fi access throughout the property. Fitted with tiled flooring, air-conditioned rooms are equipped with a personal safe, a wardrobe, a fridge and TV with cable channels. The attached bathroom comes with slippers, hot/cold shower facility and free toiletries. At Golden Boat 2 Guesthouse, guests may rent a bicycle/car to explore the area, or approach the tour desk for sightseeing activities and travel arrangements. Luggage storage, laundry and massage services are available upon request. 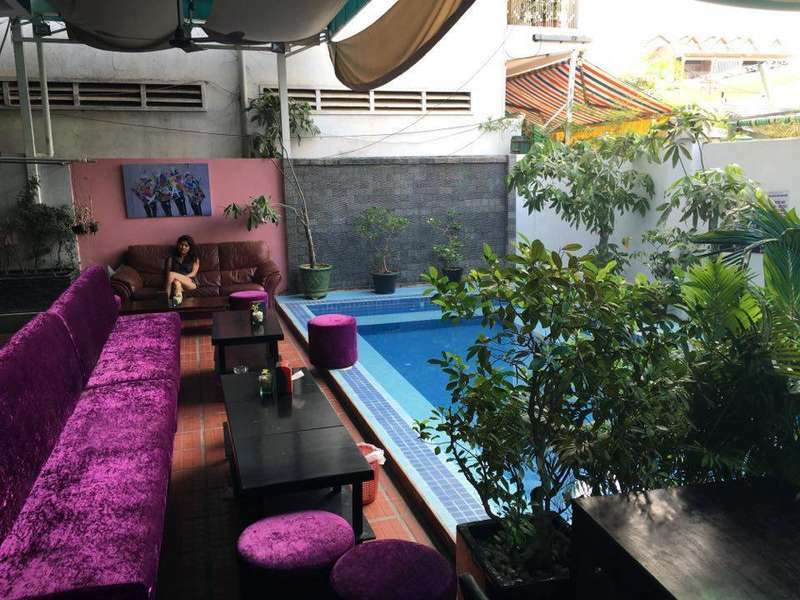 The in-house restaurant serves tasty Khmer and Western dishes, while the bar offers a variety of drinks and local beverages. Guests can also enjoy meals in private with room service. Daun Penh is a great choice for travelers interested in markets, sightseeing and museums.